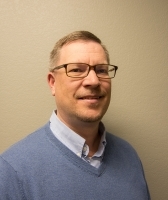 Brent Robertson, Dry Bulk Sales Director of Tank Connection in Parsons, KS is a bulk material storage expert who has been involved with storing hundreds of types of bulk products. Since 1993, he has been involved in the design, manufacture and construction of bulk storage applications and has been an integral part of the development and growth of Tank Connection’s business units. Mr. Robertson holds a Bachelor of Science degree in Business Management. He is frequently involved with application development for clients – assisting with solution options that are more readily manufactured and economically advantageous for the project.